Title winners: Manchester City. They are always better when they are chasing the title, rather than defending it. 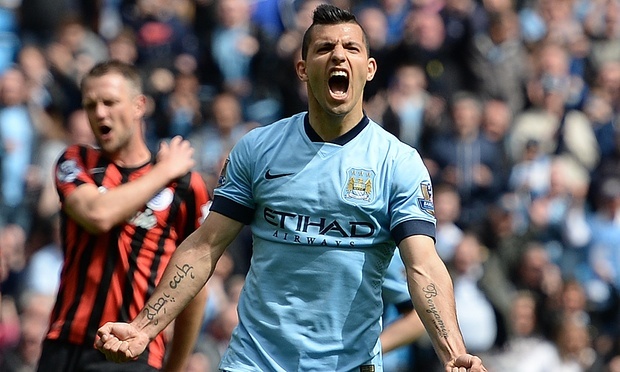 However, I am adding a rider: it will need Sergio Agüero to go the season injury-free. Relegated: Sunderland, Watford and Leicester, with another close call for Aston Villa. Player of the season: Harry Kane, collecting the award he should have won last season. Everyone expected Hazard to be brilliant. Nobody could have thought Kane would score over 30 goals and knock one in for England with virtually his first touch. Surprise of the season: Bournemouth not being the straight-back-down team that most people suspect. Eliaquim Mangala may make a few people eat their words too. 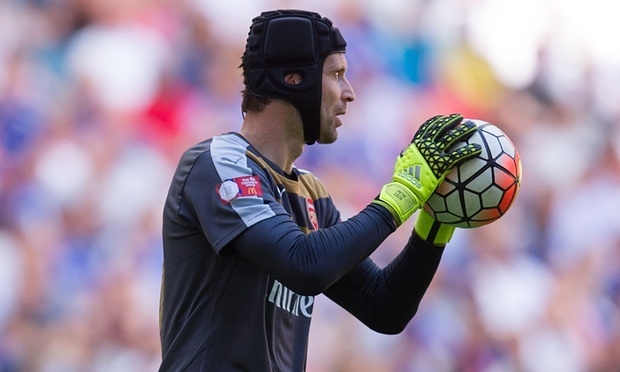 Signing of the season: Petr Cech. It seems bizarre that Chelsea would actively solve one of Arsenal’s problem positions. Arsenal already look better defensively. Young player of the season: Luke Shaw. Still an exceptional talent. Too much was made of his teething problems at Old Trafford. Least excited about: The roadworks – usually with nobody doing any road-work – on the M1 and M6 after night games. And Manuel Pellegrini’s press conferences. Most excited about: I Believe in Miracles, the Jonny Owen documentary-film about Nottingham Forest, 1975-80, and the kind of implausible success story that could never happen again. Title winners: Manchester City. Still have the strongest squad in all areas. Vincent Kompany and Yaya Touré have to be better than last season. David Silva is still the best David Silva-style player around. 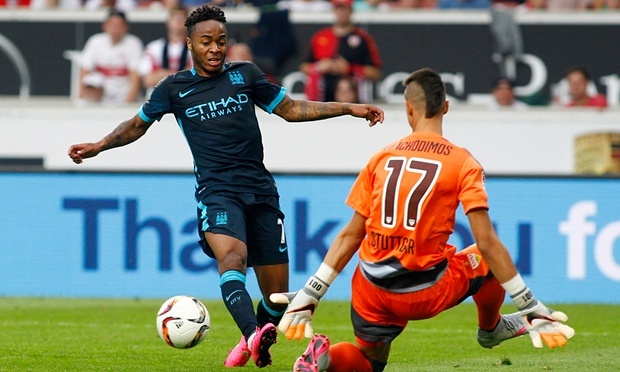 Raheem Sterling is £49m of quite good but he’s just the right signing for a team who needed speed, vim and youth. Mainly though, nobody else looks that good. Relegated: Watford and Norwich, just because they go up and they go down. And probably Leicester too. No Nigel, no party. Player of the season: Harry Kane, who everyone seems to think is going to struggle, lose his mojo and all the rest but who is in fact an irrepressible cartoon-style hero and will score 30 goals this season while having more fun than any other human being on the planet. Surprise of the season: The Premier League doesn’t do surprises. Stoke – now even more Barcelona than Barcelona- may be this season’s Southampton. Failing that, a happy Newcastle. Signing of the season: James Milner. The complete quite-good midfielder. Young player of the season: Memphis Depay. Cocky, fast and fun. 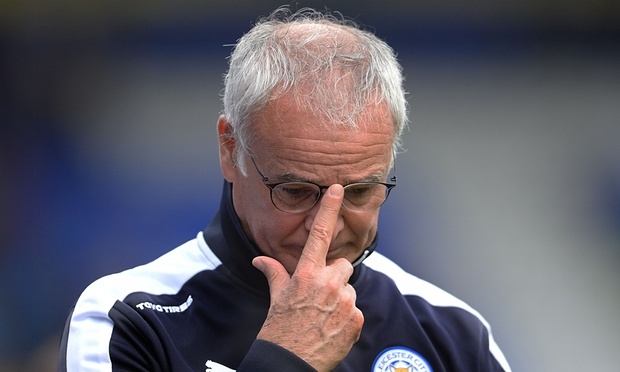 Least excited about: Managers going on about stuff. People in the media pretending to care about handshakes, mind games, etc. Most excited about: Everything equally. Although whatever it is that’s about to happen at Manchester United – disaster, triumph, glory, nervous collapse – should be fun to watch. Title winners: Last season Chelsea were unparalleled in attack until mid-January, and unbeatable in defence thereafter. In short they weren’t just the best team in the division – they were the best two teams in the division, and despite a lack of summer signings whichever one turns up this time must be favourites once again. Relegated: Unlike last season all three promoted clubs have the potential to thrive, which hopefully will lead to a closely contested relegation scrap that will never see one side marooned on the bottom. Which is another way of saying it’s very hard to pick between about 10 possible candidates but if forced I’ll go with Leicester, Norwich and, unless Christian Benteke is replaced by someone equally golden-booted, Aston Villa. Player of the season: Eden Hazard and Sergio Agüero remain the best teams’ best players, and will stylishly jostle each other for individual supremacy. Surprise of the season: The fixture list has handed Bournemouth a chance of glory, with their first four home games – against Aston Villa, Leicester, Sunderland and Watford – giving them an opportunity to get significant points on the board against likely relegation candidates before the clocks go back. If the confidence needed to attack in numbers and at speed – as they did so impressively last season – survives their introduction to the top flight they could have a significant impact. Signing of the season: Full-backs don’t always get a lot of attention but Matteo Darmian addresses a serious long-term need at Manchester United and could eclipse some of the club’s more loudly-trumpeted arrivals. Young player of the season: Aleksandar Mitrovic seems to be the type of player who causes regular headaches for defenders and disciplinary commissions alike – and he’s brilliant on Football Manager. If managed well, his arrival at Newcastle could be transformational. Also, I hear Manchester City have bought a decent young Englishman. Least excited about: Hearing what José Mourinho has to say about things four times a week. Most excited about: Seeing whether the throng of new managers who have been thrown into fascinating positions sink or swim. Claudio Ranieri at Leicester, Steve McClaren at Newcastle, Slaven Bilic at West Ham and Quique Sánchez Flores at Watford should all have intriguing debut seasons (assuming they last until it ends), and Tim Sherwood’s first full campaign at Aston Villa is unlikely to be drama-free. Also, transfer deadline day ending at 6pm rather than 11pm – five delicious additional hours of sanity. Title winners: Let’s say Arsenal, after Chelsea are ravaged by injuries. Relegated: West Ham, Sunderland and Norwich. Player of the season: Sergio Agüero. The best striker in the league should thrive even more with service from David Silva, Raheem Sterling and a reinvigorated Yaya Touré. 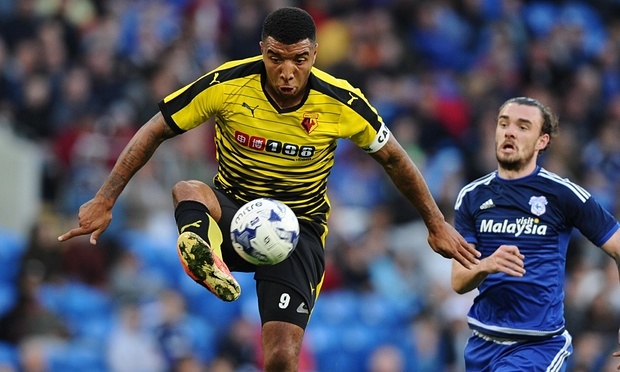 Surprise of the season: Troy Deeney to be this season’s Charlie Austin. West Ham to go down. Louis van Gaal to be sacked/storm off in a huff. Signing of the season: André Ayew. Young player of the season: Raheem Sterling. Nonsense to suggest he is anything other than a marvel. Least excited about: Transfer deadline day. Yellow bleeding ties indeed. Most excited about: Bojan Krkic’s return to fitness. And seeing how the Liverpool revamp works out. Title winners: Chelsea carried all before them last season and demonstrated an ability to grind out results as well as scintillate. The rest have been playing catch-up ever since but, if José Mourinho’s transfer dealings serve to reinvigorate, the champions should remain a step ahead. Relegated: Leicester may have to repeat last season’s late heroics, though can that be achieved with Claudio Ranieri in charge? Watford have virtually a new team – and manager – from the set-up that gained promotion and will have no time to settle. And Bournemouth, so impressive in the Championship, are in alien surroundings: it will be intriguing to see how they recover from the occasional drubbing. Player of the season: Sergio Agüero. The Argentinian has been prolific throughout his time at the Etihad stadium and, if he can avoid the injuries that have plagued him at times, he can sustain City’s challenge to Chelsea’s authority at the top. Surprise of the season: Norwich under Alex Neil. The team should not have been relegated last time around given the quality in their squad, and the Scot has injected belief into the set-up since taking over last term. Young player of the season: John Stones. The same prediction as last year but, if fit this time around and still an Everton player featuring regularly, he should establish himself for his country as well as his club. Signing of the season: Jordy Clasie at Southampton has worked for and thrived under Ronald Koeman in the past and seems a snip even if his price rises to £8.4m. Least excited about: The mid-season bleating from players – and agents – suddenly concerned their inability to break into the first team at their respective clubs is hampering their chances of featuring at Euro 2016. And the lack of transfer requests in January which would see those same players sacrifice bonuses and loyalty payments due in their contracts. Most excited about: The title race, the jostling among ambitious clubs seeking to break into the top 10, the soap opera which will inevitably be West Ham’s last season at the Boleyn Ground, Louis van Gaal’s impact in his second season at Old Trafford, how Bournemouth attack the top flight … there’s plenty to have the juices flowing. Title winners: Chelsea. Expect Arsenal and Manchester United to provide a stronger, closer challenge this season but they lack the champions’ defensive quality. A lot, perhaps too much, rests on Diego Costa staying fit, however. Relegated: Norwich, Leicester and Watford. Alex Neil has performed wonders at Carrow Road but promotion may have arrived a year too soon for the group, Watford need Troy Deeney to make the step up immediately and how Claudio Ranieri continues to land good jobs is a mystery. 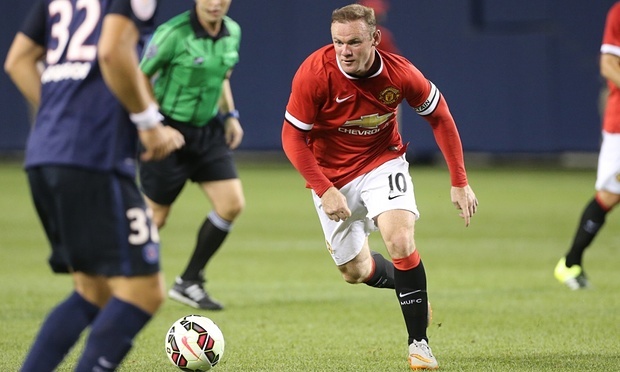 Player of the season: Wayne Rooney. The 29-year-old may get a consistent run as Manchester United’s leading centre-forward with Robin van Persie and Radamel Falcao gone and, if Louis van Gaal’s team are to mount a genuine title challenge, his goals and game intelligence will be essential. Surprise of the season: Maybe not a major surprise given the stylish way Bournemouth swept to the Championship title last season but for the team to remain true to Eddie Howe’s ideals, make several established sides appear archaic by comparison and to enjoy a stress-free inauguration into the Premier League. Signing of the season: Petr Cech. Seven years after Jens Lehmann ended his first spell at Arsenal, Arsène Wenger has finally got round to signing a goalkeeper of proven, outstanding pedigree. Imagine the eruptions emanating from Stamford Bridge should the veteran provide the foundation for an overdue title challenge at the Emirates. Young player of the season: Raheem Sterling. Tipped the then Liverpool winger for the prize last summer and he revived the team mid-season when shifted into the main striker’s role but his form and focus deteriorated badly amid the controversy over his never-to-be-signed contract extension. Now in a better side, it is time for the 20-year-old to show what all the fuss and an exorbitant transfer fee was about. Least excited about: The prospect of last season’s top four quickly retaking their positions, staying put throughout and three of the four once again failing to mount a credible challenge to Chelsea. Most excited about: Harry Arter and company justifying the “Surprise of the season” selection. Failing that, cancelling the Sky subscription now that all the better stuff is on BT Sport. © 2015 The Guardian | This article was first appeared in The Guardian on the 5th of August, 2015.